Really gold plated coin. 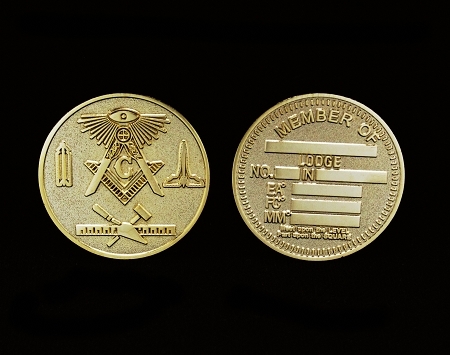 Engravable for most Masons. Very nice. Inexpesive enough to buy several as gifts, but very, very nice. Can hardly believe they can sell them at this price. Much better than anticipated.